It has been 6 years since Night Owl Cinematics have started, and we’ve had our share of memorable moments. However, a day spent with Juno on the 22nd September 2018, Saturday, proved to be one of the most memorable experience we’ve had thus far. 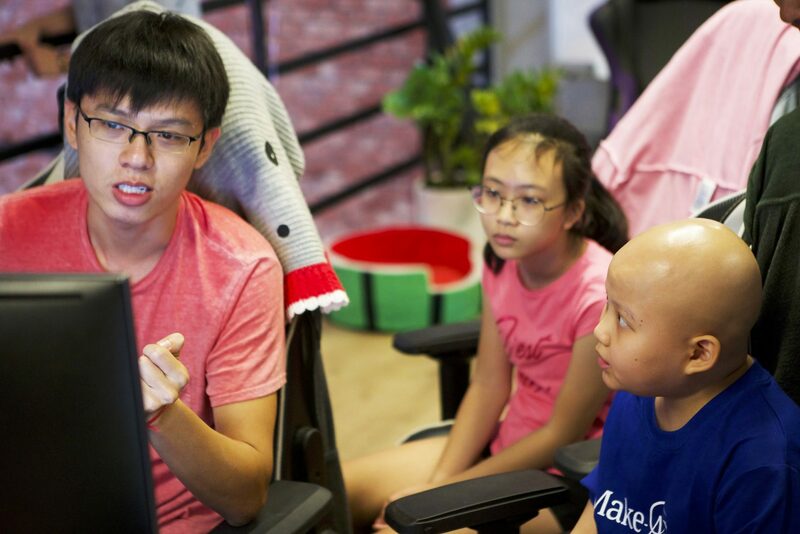 We first found out about Juno’s wish to visit us and be part of our video production process through Make A Wish Singapore (https://www.makeawish.org.sg/en/). Make A Wish Singapore is an organisation whose mission is to grant the wishes of children with life-threatening medical conditions to enrich the human experience with hope and joy. 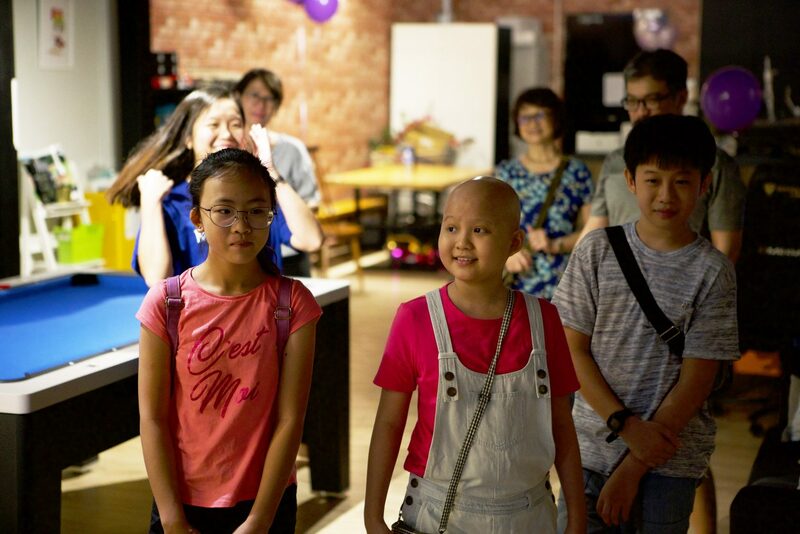 And Juno, a leukemia patient, has reached out to them in order to make her wish come true. 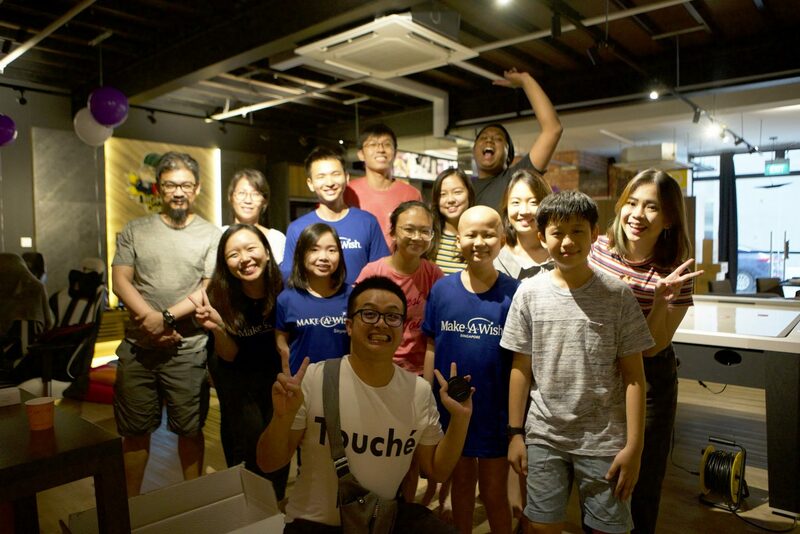 Together with the representatives of Make A Wish Singapore, we decided on a plan and put it into action on Saturday, 22 Sept 2018. But what surprised us was that while we managed to put a smile on Juno’s face, her innate charisma and humour shone through during our interactions with her, making us laugh. And with children, we definitely needed to show them the toys that we have in the office. 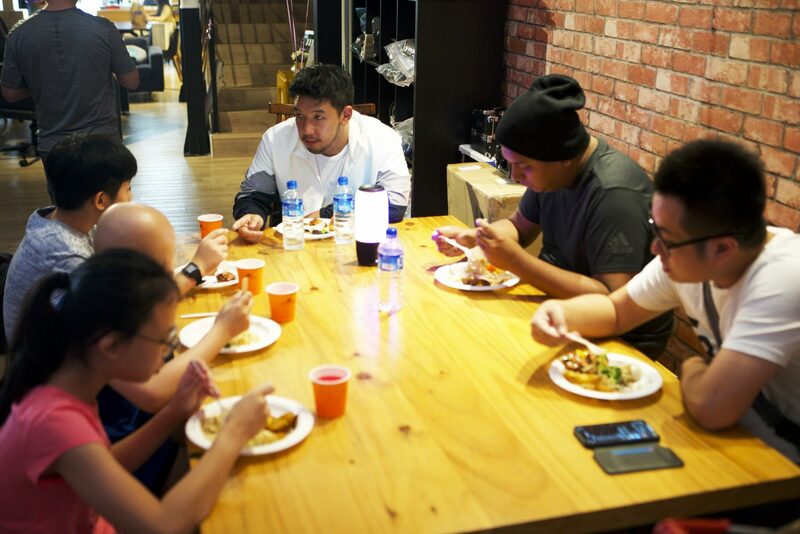 Shortly after, the moment that Juno was looking forward to finally arrived, in the form of Ryan, Aiken and Dee Kosh. 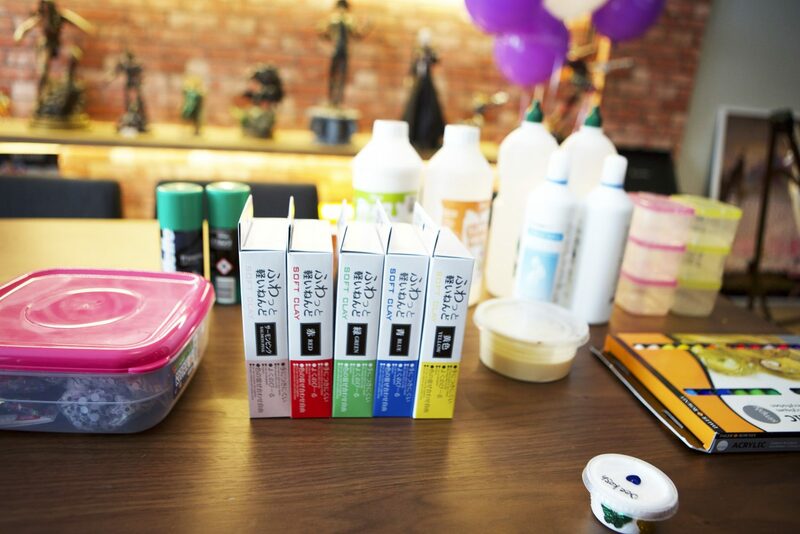 Also, Juno had specially prepared a greeting gift for our talents – her specialty, slimes. 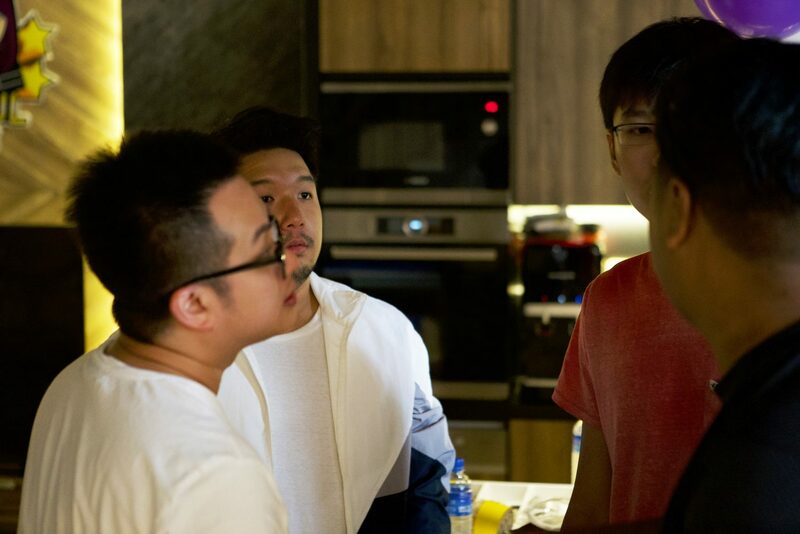 With all the main players in the field, it was time for us to execute the next item on the programme – the filming. 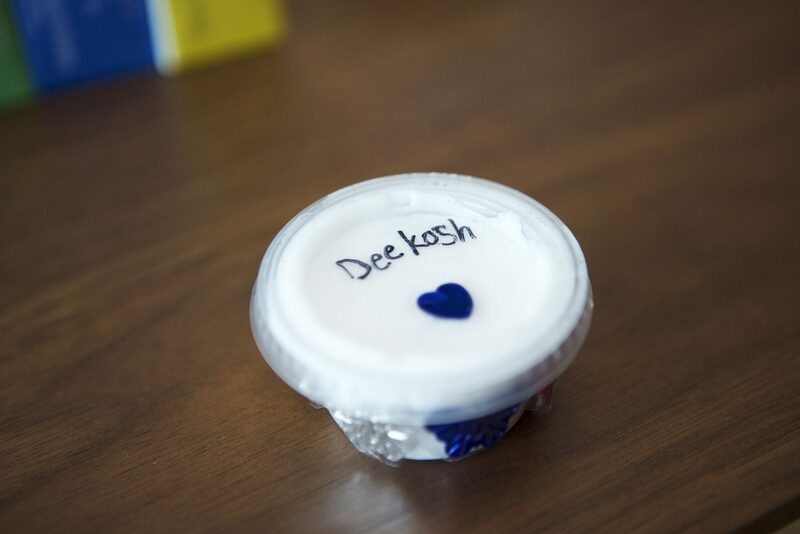 The Make A Wish Singapore representatives had kindly prepared all the ingredients and materials necessary to make slimes for us. While the crew started to set up the cameras and the lights, the 4 of them then took their seats and started to get to know Juno more while sharing funny stories with her. But prior to the start of the filming proper, Virus had a task. To teach Juno about what equipment that we use during a shoot, and what is each equipment for. And without further ado, the filming got started. 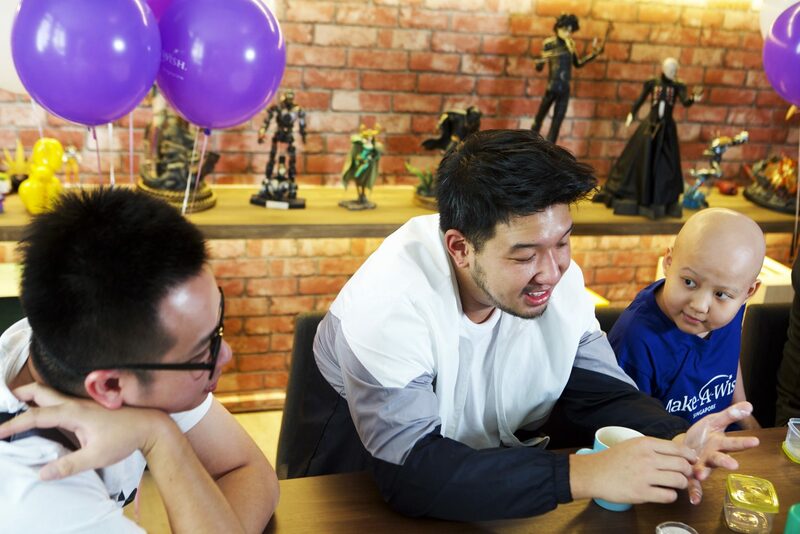 The purpose of the video is not only to fulfill Juno’s wish, but is intended to be posted on her YouTube channel, making Ryan, Aiken and Dee Kosh the special guests on her slime-making channel. Fret not though, their teacher of the day is happy about the liveliness of her students. A side-note, the crew of NOC treated this as serious as every other shoots that we do, which is why we have our best men, Virus and Bryant, behind the cameras. 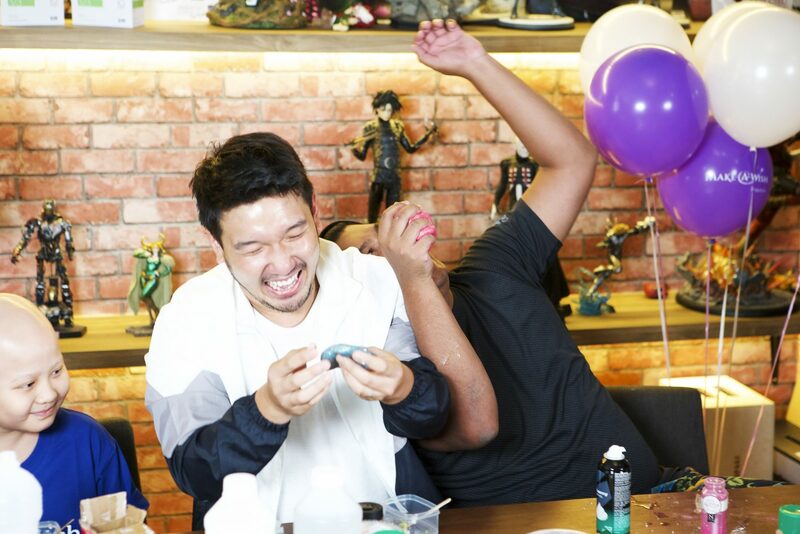 According to Juno-sensei, adding shaving foam to the slime will give it a fluffier texture and Dee Kosh, loving all things fluffy, decides to go all out. 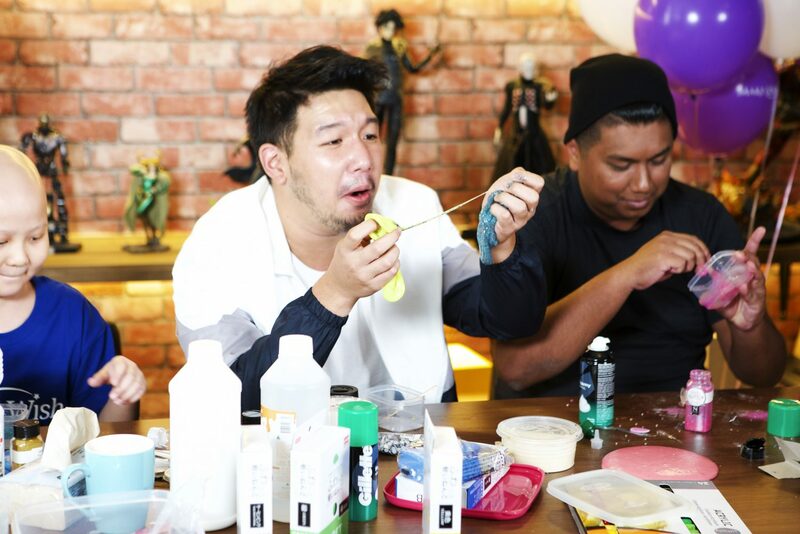 As much as it is unlikely to see 3 grown men making slimes, Juno actually gave them the opportunity to do so and they really had fun doing it. The atmosphere that the combination of Juno and our 3 hosts were so infectious that all our crew were engrossed at watching them have fun. When everyone’s slimes were ready, we took a break to clean up the mess on the table, and Virus called the 3 hosts over for a secret discussion. This discussion is serious business. We resumed filming, and the 3 hosts’ got rated by Juno for a change. Ryan’s slime got 2 stars, Aiken’s got 1.5, and Dee’s slime received 3 stars, a Juno Good rating! After getting a taste of their own medicine, they then surprised Juno with a gift. And Juno surprised us in return, also with another gift provided by the Make A Wish Singapore! 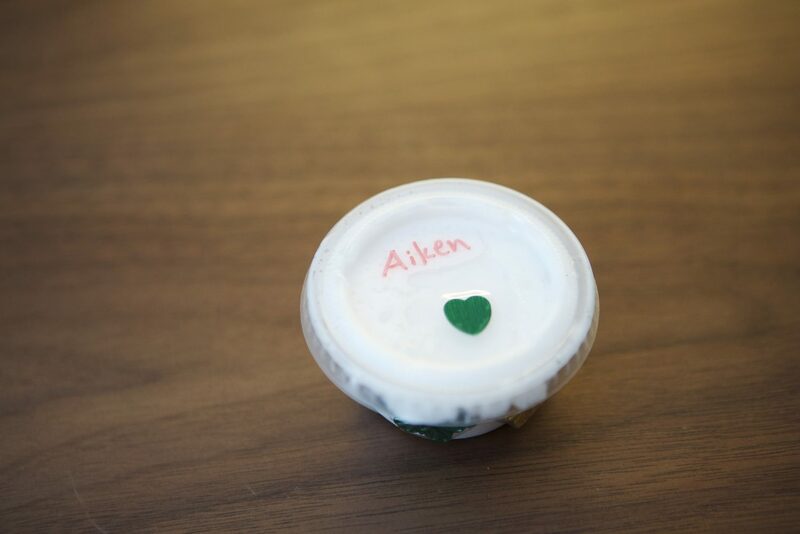 Which actually resulted in a surprisingly pretty slime! We came to the end of the filming. However, this was not the end of the programme. 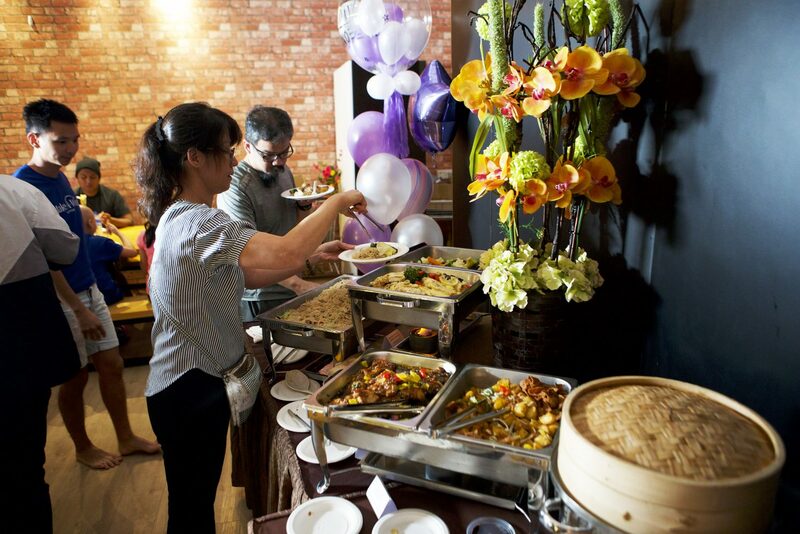 We then took a break for lunch, which was kindly provided for us by Make A Wish Singapore. After the lunch break, we commenced onto the next part of the programme. This is when Virus actually demonstrates and teaches Juno how to edit a video. 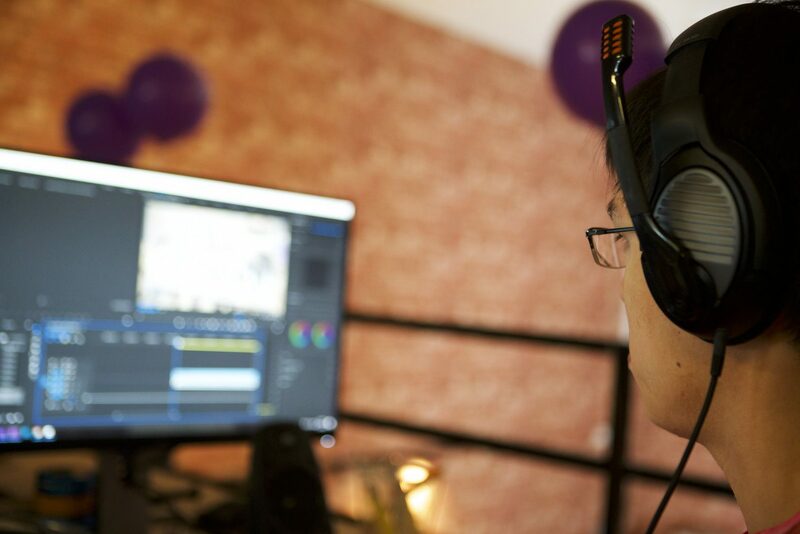 From not only the technical skills, but the rationale of why and how a video is edited. After this is done, Virus continued with the same day edits and Dee Kosh took over. Having used the same model of camera for his vlogs, Dee teaches Juno how to use the camera that she has received. With that, the video was delivered and was screened and we called it a day! Once again, we will like to show our deepest appreciation to Make A Wish Singapore for making this happen. Being actually involved in fulfilling a child’s wish actually taught all of us a lot about the hard work involved just to put a smile onto a child’s face. Also, not only that, but we have also witnessed what it means to remain positive in the face of adversity. We have benefited a lot from Juno and we really hope that she has benefited from the session as well. In the end, be it fulfilling wishes or making videos, at the end of the day, our purposes align – to put a smile on someone’s face. Also, AWWA is Night Owl Cinematics’ adopted charity organisation and we have a fundraising campaign, do give it a visit and donate what you can!